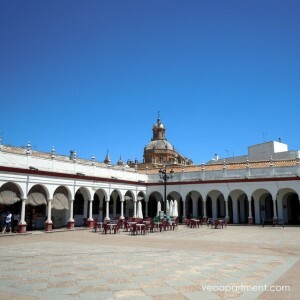 Carmona is a pretty little town that takes about half an hour to reach by bus from Seville, making it an ideal destination for a day trip. The old town is surprisingly ancient. The Phoenicians were certainly here by the 8th century BC, taking advantage of a defensible position on a ridge overlooking the rich agricultural plain along the River Guadalquivir. It was then occupied in turn by the Carthaginians, Romans and Moors, before being captured by Ferdinand III in 1247, the year before Seville, and all of them have left their mark on the town. 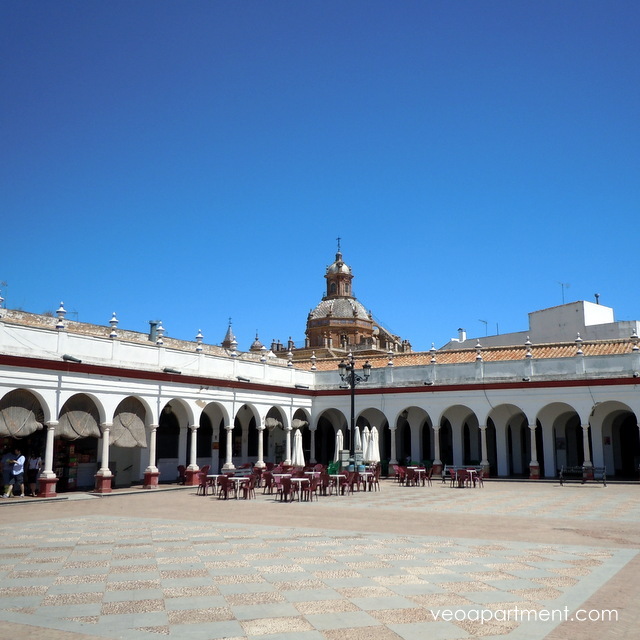 It’s best to arrive early, as a number of places close around 3pm (and in summer you don’t want to be out walking later than this because of the heat), so you can do your sightseeing before finishing the day with a leisurely lunch at one of Carmona’s many bars and restaurants. The bus stops in the Paseo del Estatuto, a few minutes walk down the main road from the gateway to the old town, but a short diversion down Joaquin Costa will bring you to the Fuente de los Leones (Fountain of the Lions), with a view down the Alameda de Alfonso XIII. 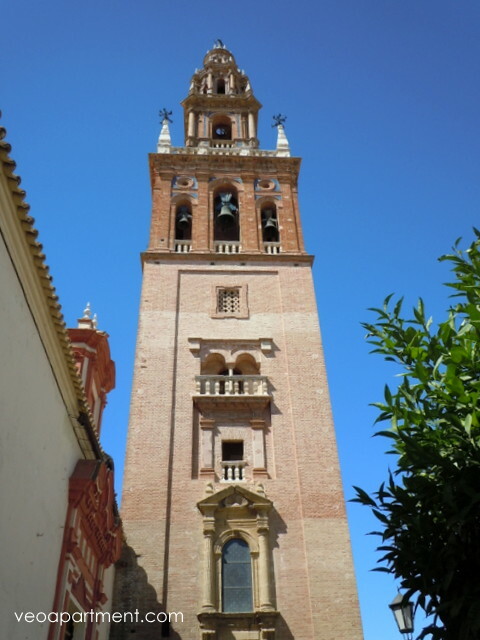 Turn left to get back to the main road and the church of San Pedro, which has a tower with a weathervane on top, in a style very like the more famous Giralda in Seville. From here you can already see your next stop, and one of Carmona’s most important historic buildings, the Seville Gate and Alcázar (palace/fortress). It’s worth walking around this (follow the road to the left, and come back through the arched double gate. Entrance is through the tourist information office (remember to pick up a map of the town), and costs just 2 euros. It seems bigger on the inside than it does from the outside, and there is an exhibition in the Upper Prisoners’ Hall that gives you a good idea of the various stages of construction. From the top of the Torre del Oro you get a wonderful view over the town to the skyline at the top of the ridge, where the church of Santa Maria and the ruins of the fortress of Don Pedro (part of this is now a Parador Hotel) stand out. From the Seville Gate head into the old town for a visit to the municipal market. Sadly, many of the stalls are no longer open, but there are a number of bars under the colonnades around the central square, and this is probably a good time to stop for a coffee or a beer. Once suitably refreshed carry on to the Plazas Cristo Rey (look for the storks), San Fernando, Las Descalzas, and Marqués de Torres, a rather winding route, but one that will take you along some of the most picturesque streets and past many of the most interesting buildings. Look especially for the church of El Salvador, the Ayuntamiento (Town Hall), the Convent of las Descalzas, and the church of Santa Maria. By now you’ll probably be ready for that lunch we mentioned earlier. Try La Yedra for some gourmet tapas or a full-course meal. Alternatively, make your way back to the Seville Gate and try the excellent traditional tapas at La Muralla. Opened three years ago by ex-Parador waiter Manolo, who clearly enjoys showing off his professional expertise. The food’s good, too. From here you are just a short walk back to the bus stop and will be back in Seville in time for a siesta. By car take Avenida Kansas City and follow the signs.